West Ham returned from the international break to suffer another defeat in the Premier League, with Manuel Pellegrini’s side losing seven of their opening 13 matches. 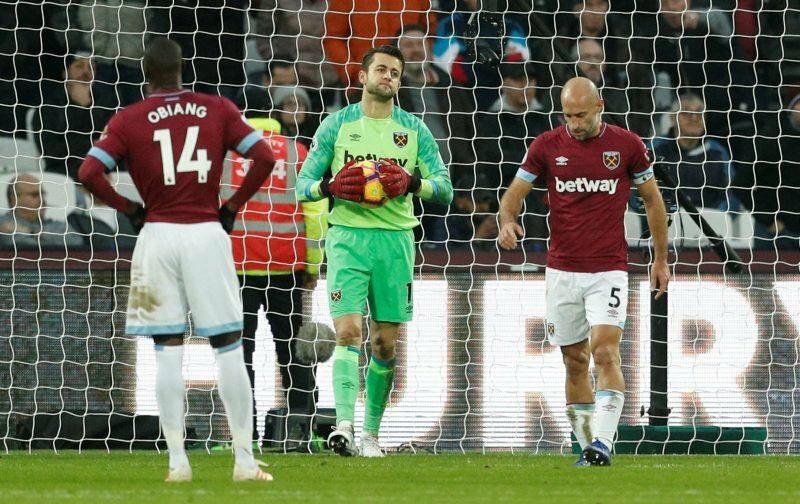 The Hammers were comfortably beaten by Manchester City at the London Stadium, with the title favourites winning 4-0, and many fans were unhappy with the display despite the fact they were always rated as underdogs. Further discussions have emerged on social media after the post-match comments from experienced defender Pablo Zabaleta, who suggested the squad will return to training and will forget about the game – putting all their focus on their next clash. However, fans are unimpressed by those statements as they believe the squad should be learning from the heavy defeat – with some pointing out the similarities between the losses against Manchester City and Liverpool. Many took the opportunity to respond to Zabaleta’s comments on social media and we have gathered some of the best reactions below. NO. We need to think about THAT game so we can learn from our losses and correct our mistakes. We played the exact same way we did against Liverpool with the exact same result. Don't stand toe to toe against a giant. We need to play more counter attacks against bigger clubs. This is the first team I followed and loved in the English first division in the 1960’s when we got the weekly black and white TV coverage in Australia. The team that had Geoff Hurst, Martin Peters and the great Bobby Moore. What the hell is going on! How not to be losing 2-0 before we actually have a go at them, how to close then down and not disrespect them the way we have against Brighton and Huddersfield. He said turn the page, not forget about it. No point the team getting down about losing to man City for longer than necessary. Get behind the team and stop constantly digging out individual players. We know that mantra. No trip to Disneyland this time? Oh, so that’s ok then. Let’s just forget how pathetic we were in the first half and that Man City played at a level we will never achieve.